Meat and bread candy bar! 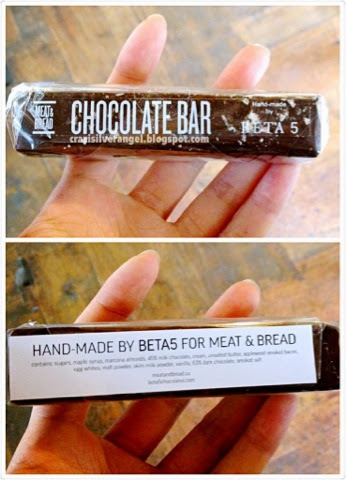 Did you know they have their own custom chocolate?! It's defiantly worth a try too! Oyama's applewood smoked bacon in maple caramel resting on roasted almond and milk chocolate nougat and coated with 63% dark chocolate, finished with smoked sea salt.